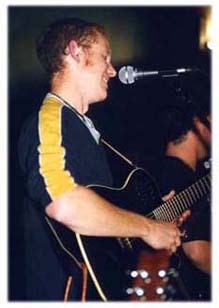 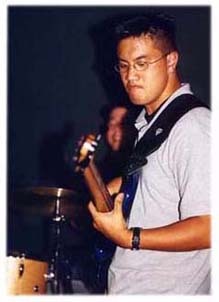 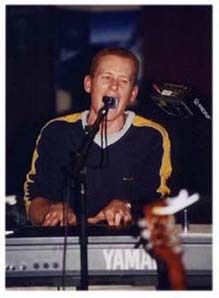 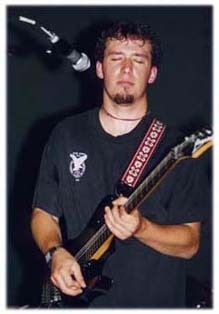 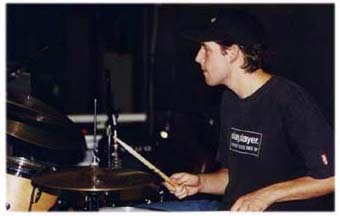 Here are some photos taken by Victoria Chen of HerWay Image at a Mark Berube gig on September 7, 2000. 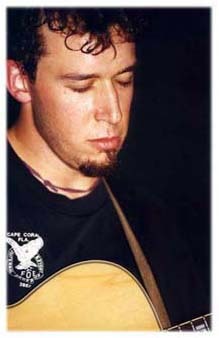 Mark Berube, guitar, piano, and voice; Reece Worth, lead guitar; Chris Trinidad, bass guitar; Ryan Davis, drum set. 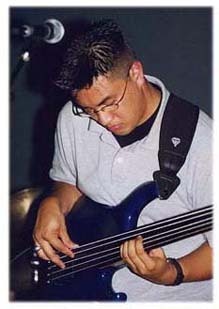 I'm sporting my old Kinal Fretless 5 string.